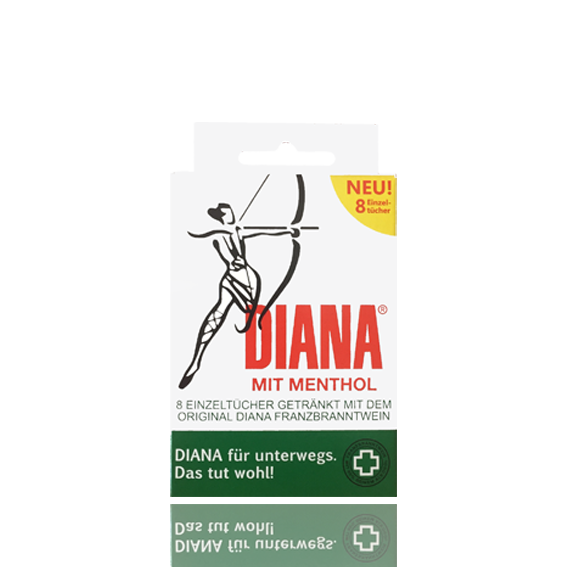 Home | DIANA mit Menthol, das tut wohl - seit 1897! In the year 1897 a Hungarian pharmacist discovered the unbelievably versatile effect of rubbing alcohol mixed with menthol. Soon, his pharmacy “DIANA” was so well-known for the home remedy that in 1907 he registered his tonic under the same name in the Austrian trademark register. 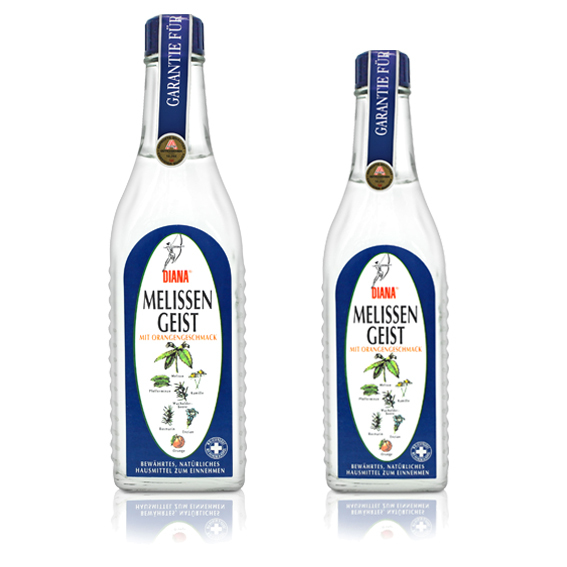 This makes DIANA one of the oldest brands in Austria! 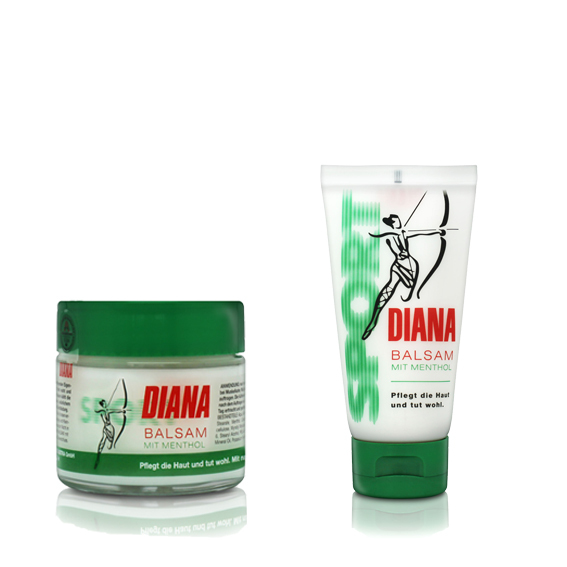 A woman with a bow and arrow is the image that has graced the packaging of DIANA products for 120 years and is well known by all. Less known is that this is the Roman goddess of hunting DIANA, who is associated with strength, acumen and love of nature. 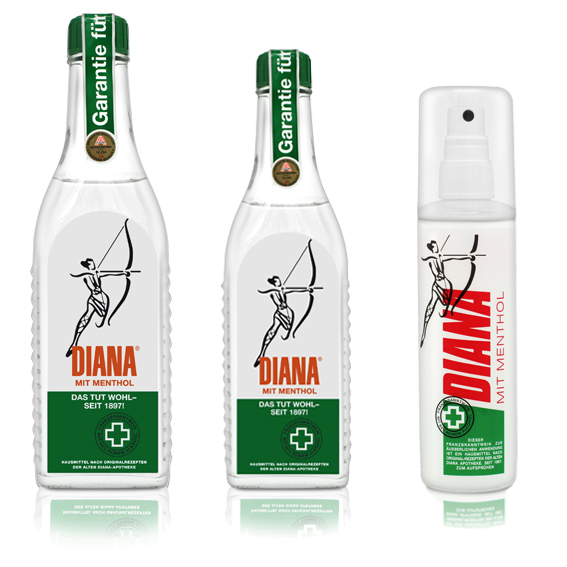 To date, the original recipe is virtually unchanged and consumers’ confidence in DIANA products is greater than ever before and the product is an indispensable part of a well-stocked medicine cabinet!